You probably have a few items in your home that he would like to get rid of that would require the help of a pair of movers and a big truck. What about the backyard? Are there the same kind of things out there that require a little assistance? Don’t limit yourself when it comes to what you might consider to be a “difficult” removal task. Taking care of something like gravel removal might seem daunting but it is actually something that can be handled quite easily if you give the job to Junk King Orange County. These are the expert junk haulers who never met a pile of any junk or debris they could and load up and haul away. Clearing your yard of gravel and other hardscape elements can make way for a landscaping makeover. It is hard to plant a garden if you’re working around amount of stones. That gravel might have been left over from your last landscaping renovation. It might be fun for kids to climb but the longer it sticks around the more it becomes an eyesore. The crew from Junk King will be able to scoop all that gravel up and get it onto the truck without any effort on your part. The same can be said for all the other yard debris items you like to clear out. Perhaps there is some construction waste left over from renovation or roof replacement. It might be some auto parts that are been swapped out or spare tire that is never going back on the car. All of that can be swiftly picked up by the Junk King squad and your yard is gonna look great for it. A pile of gravel and that other yard debris could be rather weighty. That’s not going to be in issue for Junk King when it comes to lifting or for pricing. Junk King’s price policy is based on volume and not by charging by the pound. It will all come down to how the crew is going to pack up truck. When you agree to the price, they’ll get busy. You will like how quickly your yard can be cleared of all that unwanted stuff. Take care of your gravel removal and yard debris clearing in a single session with help from Junk King. Set that up today. This entry was posted in OC Junk Removal and tagged gravel removal, Junk King, junk removal on March 31, 2019 by Junk King. Last updated March 31, 2019 . Is your company’s office feeling cramped? If you have cubicles, then they are probably all the same size. The same can be said for any offices surrounding this floorspace. But just like your closets and garage at home it is amazing how quickly the office space can fill up with excess “stuff.” All that clutter is not going to help your employees be productive. If it is time to make more room in your office, then you need to get some help from Junk King Orange County. The first thing you need to do is decide what has to go. There will be some obvious choices. One of those cubicles could be full of random desk chairs and office equipment. They are probably being stored there because the storeroom is already overflowing with other items that you could probably get rid of. Don’t forget that Junk King can not only help with office furniture removal but also with old office equipment. You know that you can’t toss out computers, printers and fax machines into the dumpster. That is all classified as e-waste and have to be dropped off at a certified recycling center. Junk King can strive to help make that happen. When you have decided what you want to get rid of you will find that junk King provides a quick turnaround. Place the call to set up your appointment today that appointment can be completed by tomorrow. There are also same day appointments that can happen provided it won’t disrupt your business. All the Junk King ask is that you set aside a two-hour window to allow the crews to get from one place to ask. How long they will be at your business will depend on just how much are getting rid. Once they start to work the junk King crews move fast. Your like how quickly Junk King operates. Junk King is worked out a fair pricing structure. It is based on a flat rate that is determined by how much space the stuff that you’re getting rid of will be using on the truck. That determination will be made by the junk and crew effort at a chance to look over all the things you want to get rid of. The flat rate covers the labor, the transportation and disposal. It’s a very competitive price. That makes hiring Junk King a very affordable option for your company. When you need more room in your office, you need a rubbish removal session with Junk King Orange County. Make it happen today. This entry was posted in OC Junk Removal and tagged Junk King, junk removal, office on March 27, 2019 by Junk King. Last updated March 27, 2019 . It is easy to tell at a glance that your spring cleaning has been accomplished. You can look through room and know that it has been tested, vacuumed and mopped up. Everything is in its proper place and there is no clutter on any table. However, that might not be telling the whole story of your spring cleaning accomplishment. What would happen if someone were to look into the closets or out into the garage? Would there still be rubbish in those areas? If so, then you want to complete your spring cleaning mission by getting that rubbish remove. That is where Junk King Orange County can make a big difference. Spring cleaning literally means dusting and cleaning every visible object in your home. It can also mean taking everything out of the cabinets in the kitchen to wipe down the shelves. By doing that, you will be able to take stock of all the things in your home and determine whether or not you need to keep them in your home. You might discover that you have more dishes then you need or some cooking gadgets that you’ve never used or would ever use. Once the cleaning is done, you might be left with a lot of things that could be carted off by Junk King. And don’t stop at the little stuff. Junk King is going to send over a team of movers and a big truck. That is what every appointment consists of. Whether you’re tossing out just a few boxes or an entire living room worth of furnishing, you’re going to get that same two-man moving crew. What big pieces could you get rid of as part of your spring cleaning? Are there some furniture items that you’d like to replace? It will certainly be a lot easier to accept delivery of the new pieces once the old stuff is gone. Before the crew begins removing all the rubbish items from your home there to provide you with an estimate. That estimate will be based on how they are going to pack up the truck. It’s a fair and competitive price that is all about volume and not about weight. Your spring cleaning can’t be called finished until all the rubbish is gone from your home. Let Junk King Orange County help with that goal. This entry was posted in OC Junk Removal and tagged Junk King, junk removal, spring-cleaning on February 28, 2019 by Junk King. Last updated March 2, 2019 . How many things are in your home at this moment that you’d like to get rid of? Some of those items might have been around for a long time. Perhaps it was an old piece of furniture that you brought with you from your last home. Maybe it was something that you bought years ago that is now worn out. Or it could simply be something that you are no longer going to use. Would it be one thing like that? A dozen things like that? Could you fill up a truck with all the stuff you like to get rid of? Whether the removal job is big or small, you can always count on Junk King Orange County to help you clear the clutter from your home. Technically, Junk King can haul away any amount of trash you are getting rid of. Obviously, you don’t want them to take away the same trash that gets picked up once a week by the city. Instead, if you want to put Junk King to work help when you clear out the things that won’t be picked up by the garbage crews. Any piece of furniture, appliance or electronic gadget should be turned over to the Junk King crew. However, it is not just things that you could throw out in the trash that Junk King. They work closely with many charities throughout the area. That is why you can turn over your old clothing from the closet, household goods, books and toys to them. Junk King will make sure they get to those organizations that can find folks who could put those things to use once again. It would be a shame for items that can still be used go to waste and it doesn’t happen when Junk King is on the job. How quickly would you like all this stuff removed from your home? If you call Junk King, then you might be able to get a same day pickup. Most appointments are completed by the next day but there are opportunities for those same day pickups provided the crews have room on the truck and are in your area. Are you ready to say goodbye to all your junk today? Then Junk King Orange County is ready to make that happen. This entry was posted in OC Junk Removal and tagged junk, Junk King, junk removal on February 25, 2019 by Junk King. Last updated February 25, 2019 . How frightening would it be to wake up and discover a sinkhole has opened up in your backyard? That is exactly what happened to some residents of a La Habra apartment complex when the 50-foot-long, 20-foot-wide sinkhole collapsed ground and part of a sidewalk on the property. While investigators assess the damage, residents had to evacuate. This is something that’s not up for discussion. You no doubt seen how sinkholes can grow. Fortunately, it appears this might just be a limited instance of a collapsed concrete tunnel. Still, it was a very how harrowing experience for all those involved. If you ever had to evacuate your home do you think you could do it safely and efficiently? This is why staying organized around the house is important. Not only should you have all your important papers together in one spot but also you should be able to quickly pack up a suitcase of all the things you might need to survive outside of the house for several days. Yes, this might mean scrambling and that means you don’t want to be tripping over clutter. Perhaps this is a good time to think ahead and consider how much of that clutter you could have removed. If you want to get serious about junk removal, then it’s time to bring in the junk removal pros from Junk King Orange County. When you set up your appointment with Junk King you are actually setting up an appointment with a pair of competent movers. This is a team that has been thoroughly trained. There also licensed and insured. That sets them apart from other junk haulers who claim they are professional. Junk King Orange County also has the backing of a nationwide franchise of professional junk haulers. They have standards to adhere to in order to carry the Junk King brand. Those standards begin with providing exceptional customer service in the form of a “no problem attitude.” Whatever you want to get rid of, regardless of size and weight won’t be a problem for Junk King. Keeping your home free of junk is going to make a big difference. Put Junk King Orange County on that task today. This entry was posted in OC Junk Removal and tagged Junk King, junk removal, Orange County on January 31, 2019 by Junk King. Last updated February 1, 2019 . Just because you have been put in charge of an estate doesn’t mean you have to manage every aspect of the disposal of that state. There are professional consignment companies that specialize in liquidating estates of all sizes. They will come in and assign a value to all the property. If you agree to their estimations, then they can either try to auction off those items, put them on sale at a consignment shop or hold an estate sale right on the property. The benefit of utilizing one of these companies is that they handle all the details and promotion of the sale. When their work is done there might be a bunch of items that could be sold. This is when you should hire Junk King Orange County for the final estate cleanup. You could set up your session with Junk King on the same day as the estate sale. When the sale is over, the Junk King crew can show up and clear out the home of everything remaining. That will allow you to bring in whatever other crews you need to make the whole ready to be put on the market. Taking care of an estate cleanup happens best when it can happen swiftly. Junk King likes to move fast with all of his appointments. You can schedule your time and date with a phone call or a few minutes online. As for the cost, that won’t be able to be finalized until the crew has had a chance to look over all the things, you’re getting rid of. That might not happen until after the sale. Junk King bases its pricing on how the truck will be packed up. The less space for all the items the less you’ll be paying. You also should keep in mind that just because a piece of furniture appliance didn’t sell doesn’t mean it won’t value. Junk King is set up partnerships with charities throughout the Orange County area. They’ll do everything they can to see that those usable items get dropped off at those charities. The best approach for an estate cleanup is to let Junk King Orange County handle it from start to finish. This entry was posted in OC Junk Removal and tagged estate cleanup, Junk King, junk removal on January 27, 2019 by Junk King. Last updated January 27, 2019 . It is amazing how often so many companies get the communication between their customers from. It’s not that complicated and should be a priority just as it is with Junk King. Everyone has different reasons for one to get rid of unwanted stuff. Junk King’s focus is to make sure that process happens without complications and with plenty of support. Junk King prides itself on its punctuality. They set up their schedule so that there is plenty of time to complete a job and make it to the next appointment. If you need junk hauled from your home, then you’ll want to hire Junk King Orange County and add your own positive review. This entry was posted in OC Junk Removal and tagged Junk King, junk removal, reviews on December 31, 2018 by Junk King. Last updated December 31, 2018 . This is the one week when every home could benefit from an extra trashcan. Ironically, it’s also the same week where we have to wait an extra day for the trash pickup. Hopefully, you’ll be able to cram that trash can full of all the empty boxes and giftwrap. That’s just a small fraction of the post-Christmas cleanup you might undertake this year. 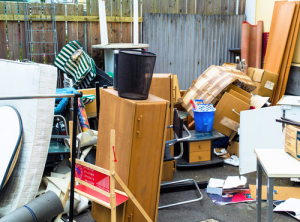 If you’re determined to start off 2019 in a home that is totally clear of rubbish, then your post Christmas cleanup should involve Junk King Orange County. How can Junk King Orange County help? Just think of all the things you won’t be able to cram into the trash can. You can get a loveseat that is seen better days into the can and you certainly can put in an old TV that is just been replace by a new flatscreen. Those are the kinds of items that belong in the back Junk King truck. Of course, you won’t be lifting anything onto that truck. That’s the responsibility of the team from junk King who will be assigned to your post-Christmas cleanup session. Your job in this entire process is to point. You’ll be pointing to all the things you want to Junk King team to pick up. Nothing has to be brought down to the curb and that includes your Christmas tree! Before the Junk King crew will start loading, they’ll want to lockdown the price with you. That price is going to be based on how they intend to fill up the truck with your stuff. Will the use one third, one half, one quarter or the entire truck bed? They’ll be able to provide you with that estimate just by looking over all the things you want to get rid of. In those rare instances where their estimation is off in your stuff takes up more room, then you will only pay the original estimate. Junk King is always fair to its customers! This year, take your post-Christmas cleanup to a whole other level by hiring Junk King Orange County to clear out the house of all your unwanted rubbish. This entry was posted in OC Junk Removal and tagged Junk King, junk removal, post Christmas cleanup on December 27, 2018 by Junk King. Last updated December 27, 2018 . 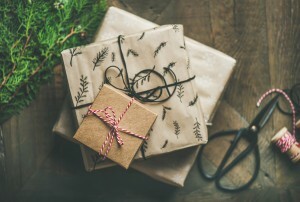 Have you ever found yourself giving the same gift to the same person two Christmases in a row? It might be easy to give a double bathrobe or double pair slippers especially if the person you have given it to hasn’t use that gift in the year. Every gift we give comes to replace caring. And just because someone got a double gift doesn’t make it any less special. It just means they now have a backup! This year you have an opportunity to present someone with a very special holiday gift. That would be a junk removal session with Junk King Orange County. This might not be a gift that someone has asked for but it will certainly be a gift someone could really benefit from. How can Junk King help? Who do you know that has stuff in their home that they can’t get rid of? We’re not talking about some old magazines but instead the big stuff that can’t be crammed into a trash can. Things like broken kitchen appliances or furniture items that aren’t being used. What about old television sets or computers? Pretty much anything that someone has in storage in their home, that’s never going to be used again, could be turned over to Junk King. Deciding on what Junk King can haul away is simple: anything can go that isn’t a hazardous material. That leaves plenty of room to toss out all types of unwanted rubbish throughout the home. None of this stuff has to be brought outside or wrapped up. The crew from Junk King will pick it up right from the spot. They’ll also be able to remove anything from the back or front yard that is creating an eyesore. Weight and size are never a problem with Junk King! All the things that are collected by Junk King will go into three piles: trash, recycle or donate. Junk King’s goal is to fill up the recycle and donate piles so that they don’t have to take the trash to the landfill. Based on their consistently high diversion rate, they’re doing a very good job of this. If you know someone who needs to get rid of junk, then make a junk removal session with Junk King Orange County a special holiday gift for them this year. This entry was posted in OC Junk Removal, Orange County Junk Removal and tagged holiday gift, Junk King, junk removal on November 30, 2018 by Junk King. Last updated December 2, 2018 . The recent wildfires that swept through the state are being contained but the lingering effects from the devastation will go on for years. Thankfully, businesses in the community have stepped up to offer help for all those displaced by the fires.The Orange County Register compiled a list of organizations that are directly helping those victims. You can also make contributions to these organizations or share the information with someone you know that has been affected by the wildfires. Bank of America’s California Wildfire Client Assistance: 855-729-1764. Whether you give a little or a lot any help is appreciated. This entry was posted in Uncategorized and tagged wwildfires on November 24, 2018 by Junk King. Last updated November 24, 2018 .